In a food processor, finely chop the vegetables. Set aside on a plate. In the food processor, finely chop the pancetta and mortadella. Set aside. In a large saucepan over high heat, soften the vegetables in the butter for 5 minutes. Season with salt and pepper. Add the pancetta, mortadella and ground meats. Cook the meat, breaking it up with a wooden spoon, and stir occasionally until the cooking juices have evaporated and the meat has browned. Deglaze with the wine and reduce until almost dry. Stir in the tomato paste and cook for 1 minute. Add the broth, bay leaves, herbs and pepper flakes. Cover and let simmer over medium-low heat for 1 hour, stirring occasionally. Add the milk. Continue cooking, uncovered, for 30 minutes, stirring occasionally. Adjust the seasoning. 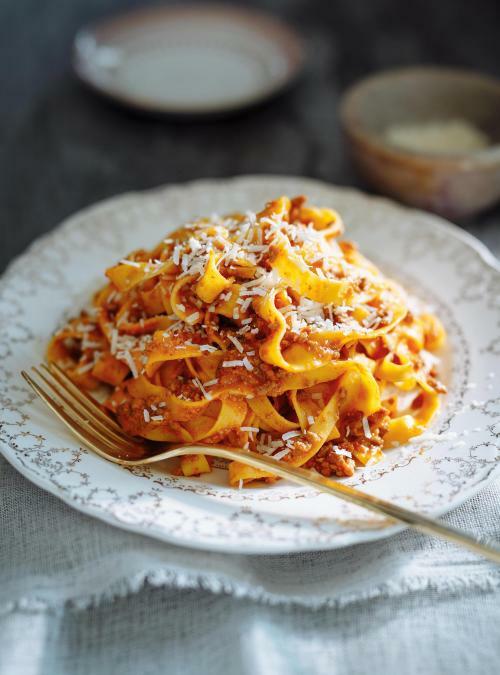 Traditionally, Bolognese sauce is served with egg tagliatelle lightly coated with butter. 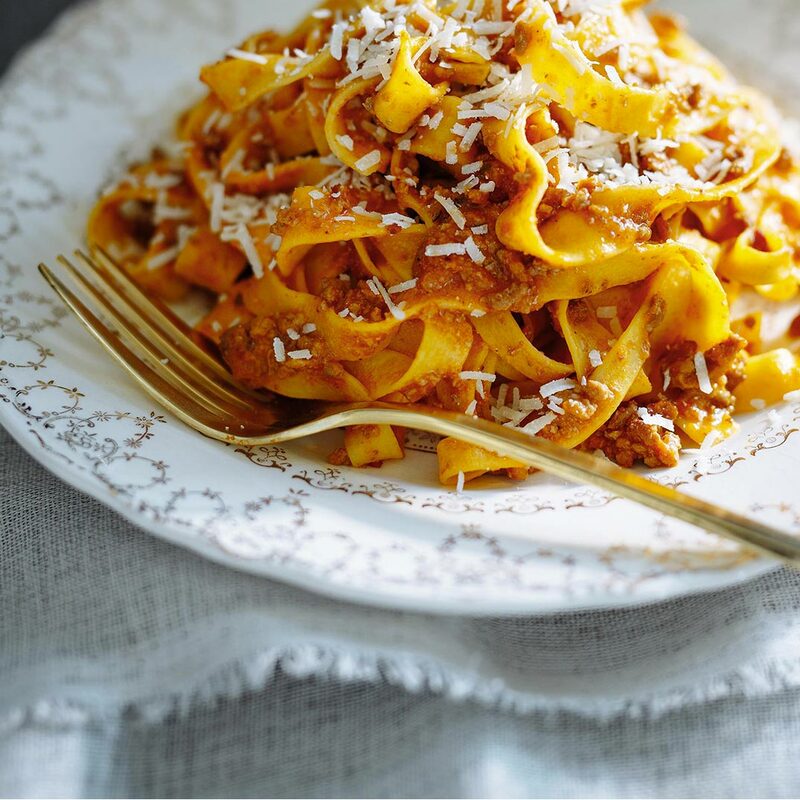 When ready to serve, sprinkle generously with grated Parmesan. This sauce is just the best one ever!!! I absolutely love it and so did my guests! 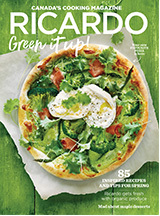 Just going over some of my favourite recipes from your site Ricardo, so I was compelled to log in and give my reviews on a few recent dishes. I am so happy to say everything I have made has been phenomenal from appetizers to desserts! I have come to depend on your recipes to provide my family and guests with impressive meals that receive rave reviews and compliments, that keep everyone asking... When are you making that again? ...to...May I please have that recipe?! I love your magazine too! Thanks so much!